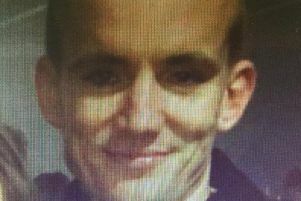 Police are searching for a man who has gone missing and whose family are very concerned about him and his whereabouts. Police said Stuart is thought to be travelling in a burnt orange/red Renault Megane, registrations NFZ 6340. PSNI Craigavon said on Facebook “Stuart is absolutely not in any trouble, so if you’re reading, Stuart, please get in touch with us on 101 or your family. “If you’ve any info as to the whereabouts of Stuart or if you’ve seen this vehicle in the last few hours, please get in touch.